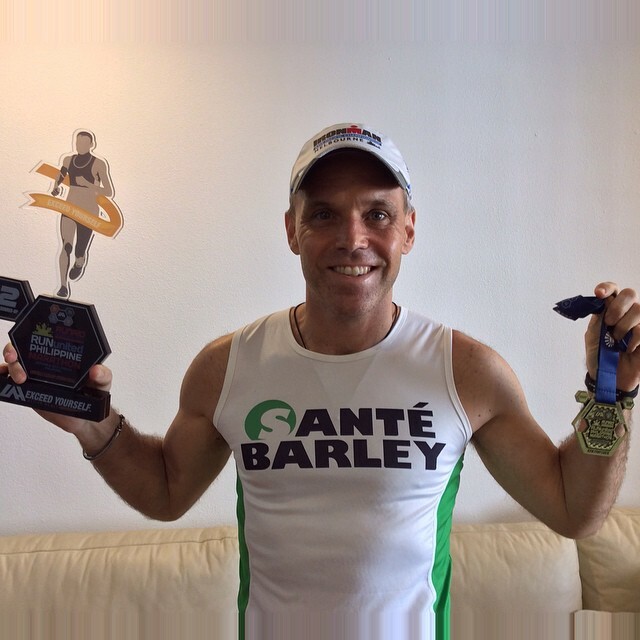 I achieved my first ever running trophy a mere 6 days after my 47th birthday. Yippie. 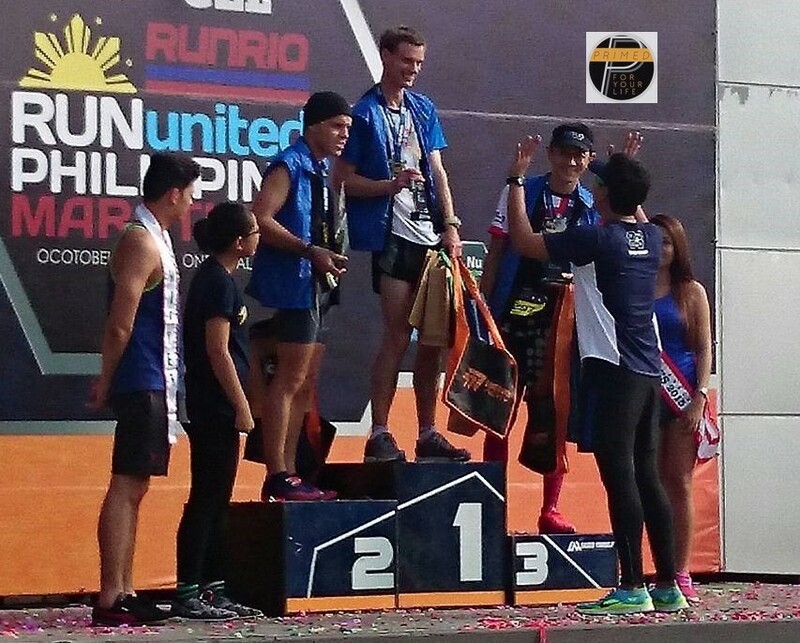 I had fun at the Run United Philippine Marathon and managed 2nd place for the Foreign Category! I did not know there was one but happy there was. 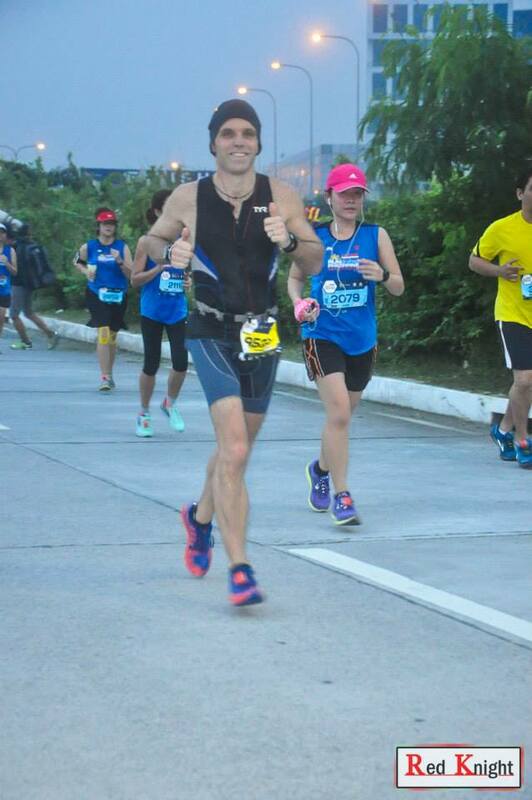 I ran my marathon in 3:56 or so and was happy seeing I started with slightly tired legs from using my stand up desk too much on Friday (rookie mistake) as I prepared for my La Salle school Primed presentation. I ensured I ate lots of eggs with some cream cheese, nuts, kimchi, green veg and coconut oil in the lead up to the marathon. I even had a double shot of Olive Oil. Delicious. I definitely avoided all grains of course, had no sugar in fruit etc. and tracked my blood sugar so it was 4.2 mmol/L (76 mg/dl) at midnight before the 2am race start. I wanted to ensure I was in full fat burning mode for the race. 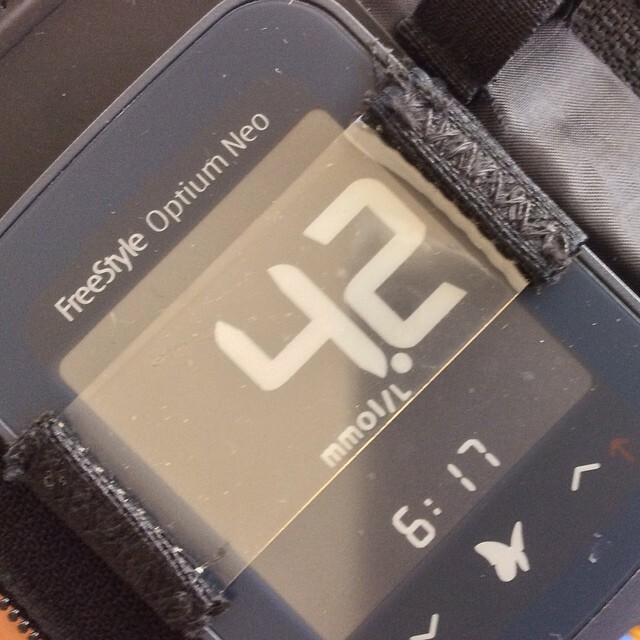 I did not test my ketones but I am guessing they would have been relatively high. 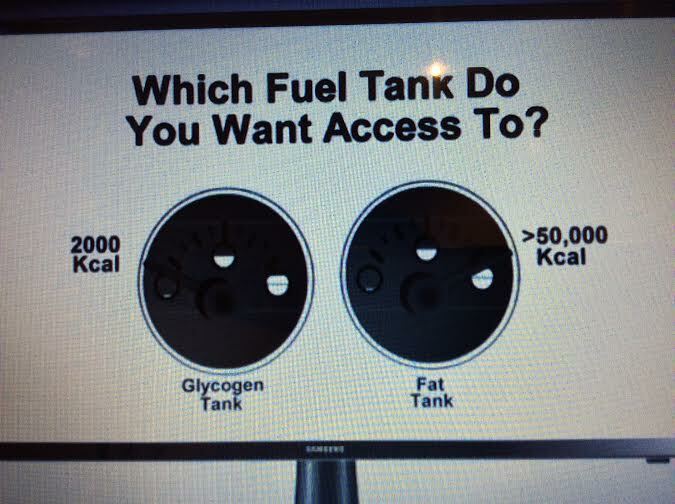 Of course I wanted to have access to my 50,000 calorie fat tank and not a tiny 2,000 calorie sugar tank. I did the whole race on water, coconut oil and pickle juice! 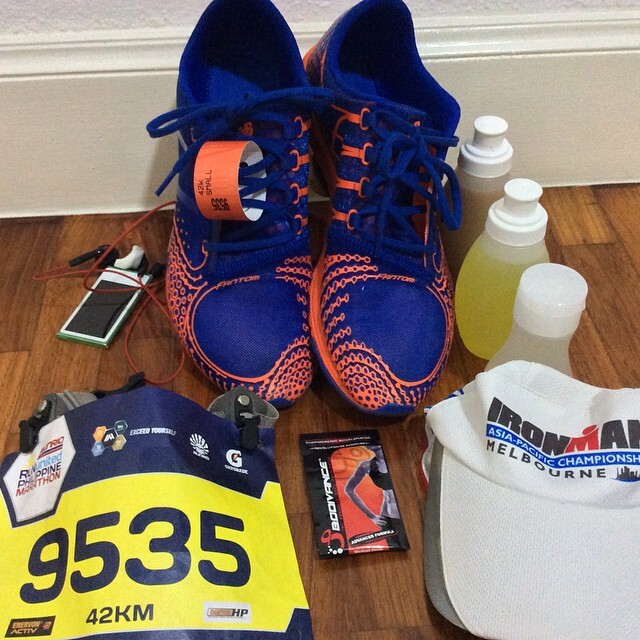 I also recovered beautifully and was able to run/walk easily within 24 hours. Within 3 days I would not have known I had run a marathon. I had some Primed Home-made Gel before and after the race along with my Primed Cinnamon Iced Coffee with Coconut Milk. One feeds your body and brain optimally. The other causes a sugar spike and inflammation. One provides superior, longer lasting fuel. The other a quick burn, low quality fuel with harmful emission! 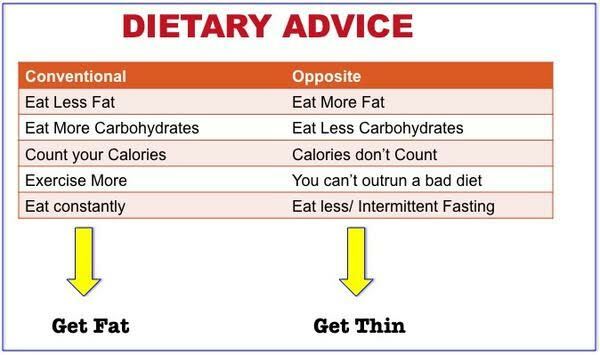 One could lead to a longer, better life and the other to Type 2 Diabetes. One fills you up and satisfies while the other stimulates your appetite so you eat more low quality ‘food’. One helps local business and farmers who care about you and the other allows for big company executives to have a bigger car. One will be the future and one a relic of an unhealthy past. 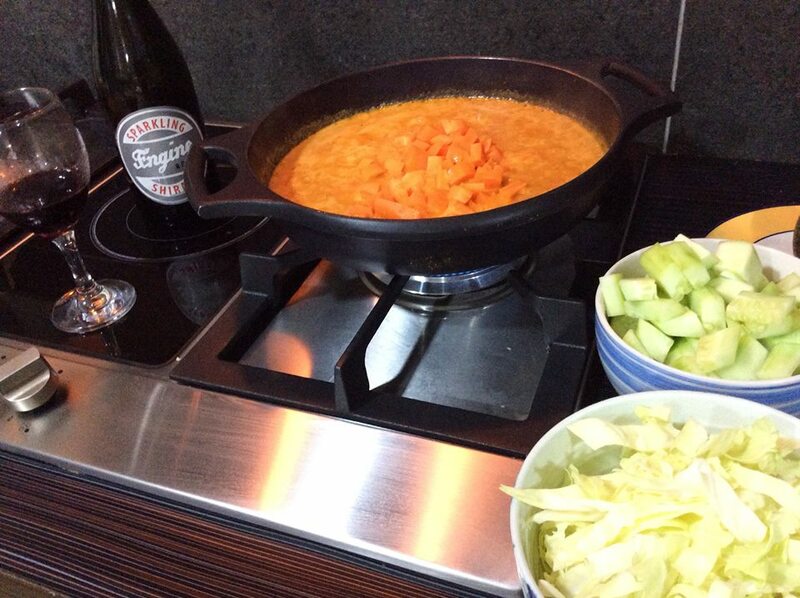 Carbo loading is not a good idea for sporting endeavors or life in general. For a healthier mind and body we should nutrient load as much as possible at all times and avoid toxic substances such as grains (GMO processed seeds of grasses), sugar, soy, veg oil and other processed foods where they include cheap ingredients like grains, soy, sugar and veg oil. Yikes. Of course I had quality fats, protein and carbohydrates (green veg) as part of my recovery plan. 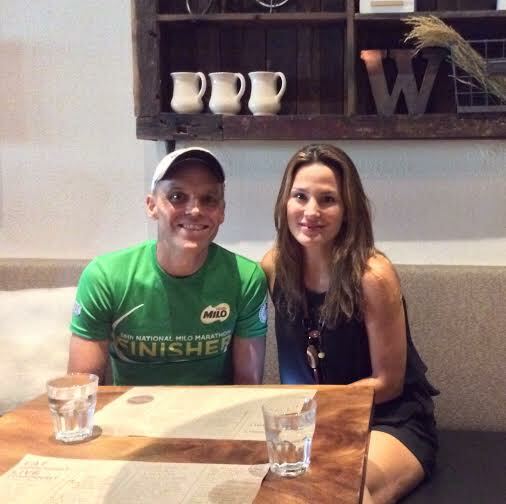 My wife and I celebrated my unexpected podium with a fabulous Australian Sparkling Shiraz. I appreciate my trophy and beautiful medal. Congratulations to all other finishers. 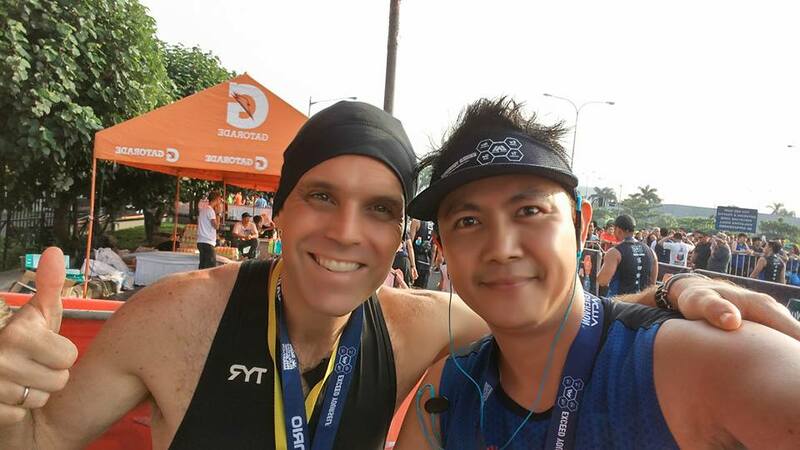 I am still amazed at the ones who ran 42.2km barefoot. Ouchie. I love my New Balance light weight shoes and cannot imagine going barefoot. The RUPM pacers did a wonderful job and deserve full kudos for helping a lot of people achieve their personal best. Exercise is not the way to lose weight. It should be fun and something you do once you have you have extra energy from your Primed/Wheat Belly Lifestyle.